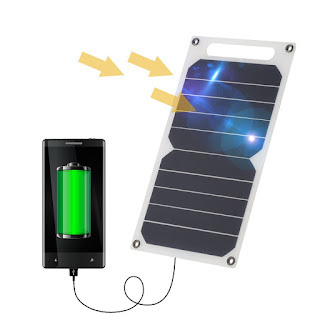 How do you feel about using the power of the sun to power your gadgets? Now you can, and it won't cost you much: a 10W slim solar power with USB socket can be yours for under $10. If you're like me, you'll still be amazed by solar panels and their ability to transform light into electricity. 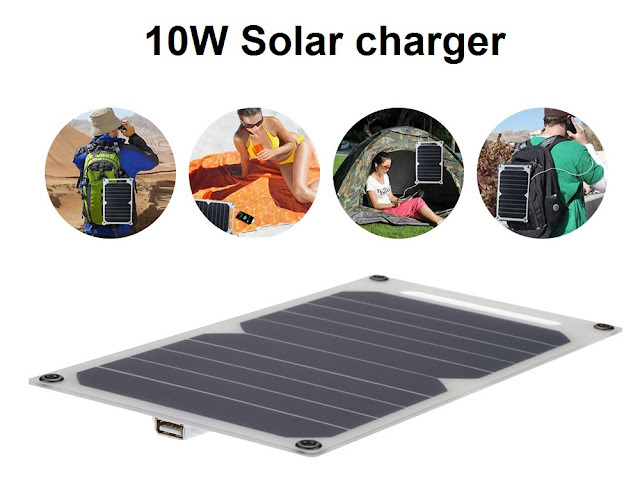 In decades past you might have used a solar powered calculator, or a solar powered watch; but now we'd prefere something a bit more modern... like this 10W solar panel with USB socket which will allow you to charge all sortes of gadgets while you're away from a power outlet, or even while you're at home but want to save that little bit of energy than you can get for free. You can also use it as power for some other projects, like a Arduino or ESP8266 module you wish to leave running in a place away from a power plug (or be portable enough to be taken anywhere without virtually limitless autonomy as far as it gets its fair share of sunlight ). I've already ordered mine, which I'll probably use with a power monitor to estimate the profitability of a "large" solar panel... while using its power to charge all sorts of devices as well, of course.